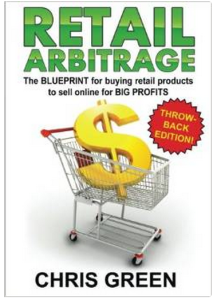 For learning how to buy new merchandise locally for ultra-low prices and resell them for huge profits, the Retail Arbitrage is definitely my 'go-to' manual. The book covers the basics of retail marketing and tell you when and how retail flipping works. What matters the most in sales is TIMING, and the book tells you 'step by step' how to master that timing. You'll find that the book is an easy read, with Green managing to illustrate perfectly each situation through real-world examples. If you did not know already, the concept of online arbitrage comes from the real estate market and refers to buying a product for low and selling it for high. But because we're dealing with retail products and not real estate, the book describes us as "retail flippers". Chris Green shows us that the "buy low, sell high" principle only applies when we can predict the market, a technique which is not easily to master but very important in sales. 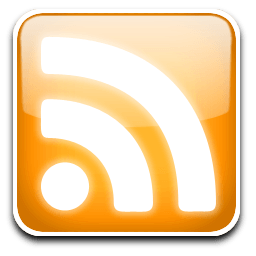 The author highlights that not what you sell matters, but how and when you sell it. It's important to know when to buy the things you commercialize and when to sell them for highest profits. They key questions to ask yourself here are "Which month has the highest x product sales?" and "When is the x product market expected to boom?". Aside from this, it's important to know where to buy your products from, which can happen either offline (from the street corner, which will allow you to get better deal thanks to face-to-face dealing), or online (where you can benefit from faster delivery). With Retail Arbitrage, you'll get a better understanding of the law of demand and supply. This law clearly tells you cannot buy a product during its "trending period" and expect to get profit from it. You have to buy it when the demand is low and then take advantage of the trends. Green also shows through different interesting examples that margin matters in marketing. In other words, if you don't know how much to buy of one product, your business could be failing. How to purchase un-advertised clearance items (e.g. those which are highlighted in stores through labels, but not advertised). The potential profits of 'out of stock'/hard to find items, returned merchandise and those with damaged packaging can also make excellent deals, especially if you know how to take advantage of them. Let me know how Chris Green's ideas are working for your business. I’m not quite ready to expand to Amazon yet, but I am going to bookmark this for later reference since I have a feeling I am slowly heading in that direction. Thanks for sharing!